Maryland has released its 2017 lists of which people and businesses owe the most in back taxes. Each list represents nearly $8 million. WASHINGTON — The State of Maryland hopes a bit of unwanted attention will get some of the state’s more egregious tax evaders to pay up. The Comptroller has released its 2017 list of the 25 businesses and individuals who are the most behind on their tax bills — in some cases, hundreds of thousands of dollars. Maryland Comptroller Peter Franchot tells WTOP that the program has been very successful since it began in 2000, and has led to the collection of $43.3 million from taxpayers who appeared on the lists. “It’s very embarrassing for them to have them publicly listed as owing the state money,” Franchot said. Topping the 2017 list of businesses is NC Services Inc., which operates as the New Carrollton Shell, in New Carrollton, according to the state. Franchot said the business owes the state $926,464 in taxes. An examination of the list found that many of the physical businesses belonging to companies which owe taxes have been shuttered. WTOP reached out to the PR firm North American Networks Inc., on Wisconsin Avenue in D.C., which the state claims owes $244,528 in taxes. A representative claimed the business is under new ownership. “This is not news to these folks, when they see their name on our list, because we have communicated with them continuously,” Franchot said. 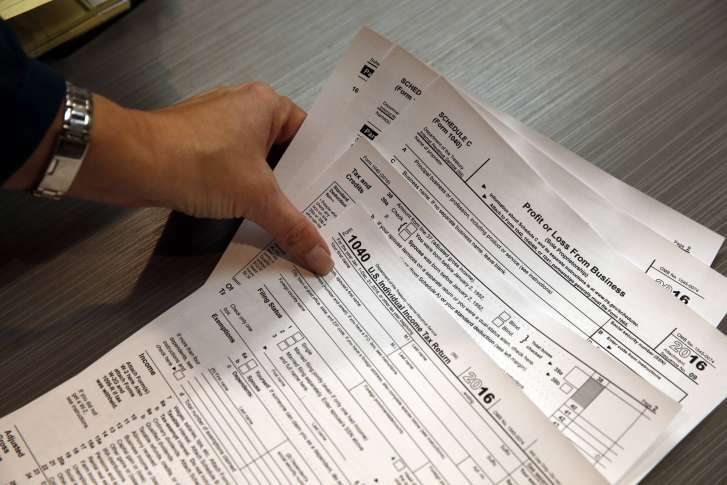 Among the individual tax scofflaws on the 2017 list, the top offender, according to the state, is Tom Bettin, of Montgomery Village, who owes $855,257 in back taxes. He’s followed by Ronald Rhode, of Perryville, and Vlatoko Andonov, of D.C.
Each top 25 list represents nearly $8 million in total back taxes. Franchot says the state isn’t picking on people and businesses which are down on their luck. His office believes those listed have the resources to pay up, but are resistant to do so. “Their name is going to remain on the list until they come in, get on a payment plan with us and show us that they’re going to do the right thing,” Franchot said.